We offer a variety of Powerboat training courses at Ardingly Reservoir including RYA and ICC courses as well as Safety Boat courses.The RYA National Powerboat Scheme exists to meet the needs of all those who use small open power boats. We run courses for individuals, instructors, Sailing Clubs, groups and Government agencies. A one day taster that shows you the thrills of powerboating. 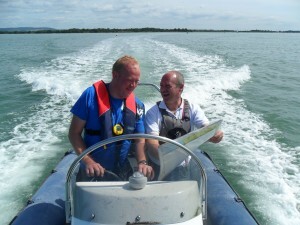 A two day course giving a full practical guide to powerboating. Launching / recovery, high and low speed handling, maintenance and emergency procedures. Lots of practice and very exhilarating. Dates subject to numbers, other dates possible by arrangement.